Simcoe, ON – “This year, in honour of the 150th anniversary of the confederation of Canada, we take this opportunity to acknowledge our unsung heroes. 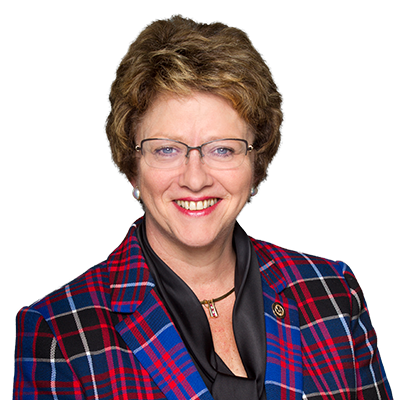 These are the people who bring our community together to make Haldimand-Norfolk the best place to live in Canada,” said the Honourable Diane Finley, Member of Parliament for Haldimand-Norfolk. Last May, MP Finley launched the Canada 150 for 150 Awards to recognize the achievements and contributions that extraordinary people make within the community. Over 200 nominations were sent in by sponsors who wanted to nominate people who were deserving of this recognition. “It was extremely difficult to decide who was going to receive the 150 awards that were available. All of the applications that my office received highlighted remarkable people. I was really looking for the unsung heroes. These are people who are the fabric of our community, but don’t always receive the recognition that they deserve. We found those people, and it’s now time that we pay tribute to the invaluable role they play in making Haldimand-Norfolk such a wonderful place to live, work, raise a family and run a business,” stated Finley. Between November 12th and 18th, MP Finley hosted a number of ceremonies where she presented the award recipients with a medal and scroll to commend them on their contribution to the community. Friends and family of the recipients were in attendance. “On behalf of the people of Haldimand-Norfolk, I want to congratulate everyone who received an award, as well as those who were nominated for their unwavering dedication to improving the quality of life for their community and positively impacting the lives of those who live here. Each of you is an inspiration to our community. Thank you for your efforts,” Finley concluded.